This image if one of my favorites from Niralie and Vimal’s gorgeous wedding at the stunning Devigarh Palace in Udaipur. I always arrive at a destination shoot early to scope the location or venue, as I know I will have as little as an hour or less on the wedding day itself to photograph the couple. As an Indian wedding photographer, it’s important that I don’t waste time, making the most of my surroundings, the outfits the couple are wearing and photographing their characters. 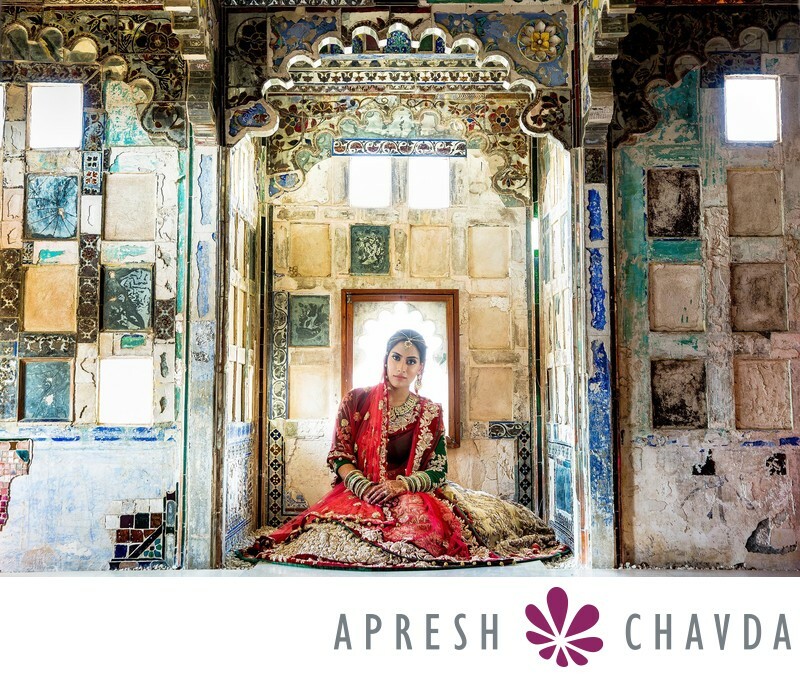 I found this beautiful ornate room right at the top of Devigarh and knew it would be ideal for a bridal portrait. This image was made using natural light streaming in from a small window behind the bride.